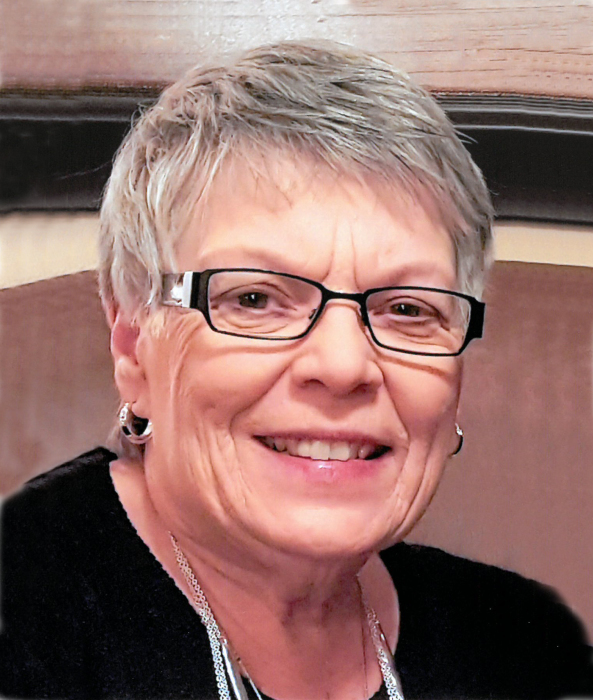 Maria Weinberger, 67, of West Fargo passed away on Sept. 14th after a long and courageous battle with cancer. Maria was born March 1, 1951, the seventh daughter of John and Mary (Messer) Urlacher. She grew up on the family farm sixteen miles south of New England, ND. She attended the first seven years of schooling at the Enterprise County two-room school house. In 1964, her parents sold their farm and moved to New England, where Maria graduated from St Mary’s High School in 1969. After graduation, she worked at Woolworth’s Dept. Store in Dickinson. On June 1, 1970, Maria married the love of her life, Gary Weinberger, at St. Patrick’s church in Dickinson. Together they raised two children, a son, Dion, and daughter, Sheri. They lived in Bismarck, Minot and Cheyenne, WY before moving to Jamestown in 1974, where they lived for 26 years. In order to spend as much time with her children as possible, she opened a day care in her home for 12 years. While her children attended St. John’s Academy she became a teacher assistant at the school. Maria also worked at the YMCA in the pre-school for 8 years. She worked in the blueprint room at Lucas Aerospace until the year 2000 when they moved to Fargo. Maria worked at Holy Spirit School running the after school program for a few years. 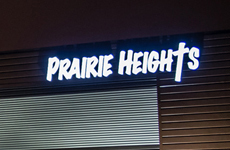 In 2010, they moved to West Fargo. During her marriage of 48 years, Maria was a dedicated wife, mother, mother-in-law and grandmother. Her family was the “joy of her life.” Anyone who knew Maria knew she loved to bake, treating her family to their favorite treats which included chocolate chip cookies, cinnamon twists, banana bread, caramel rolls, scotch-a-roos, seasoned pretzels and party mix. Maria loved attending all activities her children were involved in and spent the last years being her grandchildren’s biggest fan at their activities. Organizing was in her blood and she loved things in labeled totes. She was often called the “tote queen!” She loved taking photos and had many photo albums and scrapbooks. She enjoyed playing games and cards with family and friends. Her passion was reading and she loved to share books and authors with others. Maria was able to enjoy amazing trips to Alaska and Italy. She loved doing skits as “Maritzie” (a foxy old lady) at parties for family and friends. Time spent at the lake every year with family was her highlight of each summer; treasured memories were always made. Her “happy place” away from her home was at the lake in their trailer. One of her favorite memories included a sunrise hot air balloon ride over the lakes. Maria loved serving and her favorite places to volunteer were Prairie Heights Church and Park Christian School. Laughter with family and friends made life great fun. Those left to cherish her memory include her husband Gary, son Dion (Kris) Weinberger of West Fargo, daughter Sheri (Chad) Haroldson of Sartell, MN, and precious grandchildren Mackenzie and Jack Weinberger, and Anders and Kristoff Haroldson. Her six sisters include Sister Hildegarde Urlacher of Bismarck, Katie Dolechek of Dickinson, Margie Miller of Mandan, Sally Praus of Dickinson, Fran (Ernie) Praus of South Heart, and Clem (Bernie) Steffan of Bismarck. Her in-laws include Marlene Kouba of Regent, Perry (Virginia) Weinberger of Beaverton, OR, June (Gary) Hartze of Helena, MT and Donna (Rick) Rogne of Helena, MT, plus many nieces, nephews and caring friends. Maria was preceded in death by her parents, John and Mary Urlacher, in-laws Fred and Mabel Weinberger, brothers-in-law Carl Miller, Ervin Praus, Ralph Dolechek, and Richard Kouba. We extend a sincere thank you to Roger Maris Cancer Center, Dr. Gaba and all the caregivers for the great care and compassion shown to Maria. In lieu of flowers, donations can be made to Roger Maris Cancer Center. A service to celebrate Maria’s life will be held on Saturday, Sept. 29, 2018 at 11:30 AM with visitation starting at 10 AM at Prairie Heights Community Church, West Fargo.